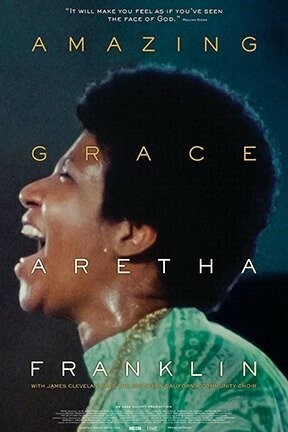 The double-platinum album Amazing Grace was recorded live, at the New Temple Missionary Baptist Church in Watts, Los Angeles, in 1972. The singer was 29-year-old Aretha Franklin, returning to her gospel roots for two nights, and the shows she put on were electrifying. That album was the soundtrack to a documentary by Sidney Lumet that never got released for various reasons, some more understandable than others. After Ms. Franklin’s recent passing, Lumet’s film is finally available, and 2019 audiences can effectively pull up a pew and bear witness to how she put in work across those two days in the January of 1972. If you are not already familiar with the term “transcendent,” you should practice its usage—you’ll need it if you’re hoping to speak on what got captured in this film.